It can hardly have escaped anyone’s notice that Rothbury, in Northumberland, has been the news centre of the UK this week, for reasons entirely outside the control of the town’s residents or businesses. 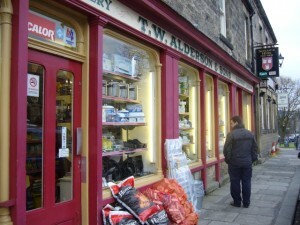 Though locals and visitors are assured that the area remains “open for business”, the enforced disruption is bound to be unsettling, and to be having some impact on trade in the immediate term. 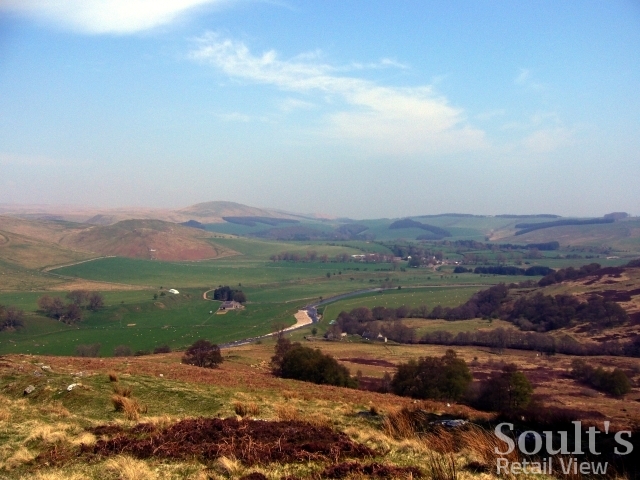 Once the present situation is over, however, I wonder if the town – and, indeed, Northumberland as a whole – will ultimately benefit from its greatly raised profile? Rothbury’s charms are well known to those of us here in the North East, who will more than likely have paid previous visits to the town itself, to the fascinating National Trust property of Cragside, or to the stunning countryside of Coquetdale. 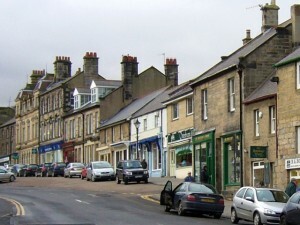 For many people across the UK, however, seeing the town’s attractive High Street as the backdrop to a news report is likely to be the first they have seen – or perhaps heard – of Rothbury. 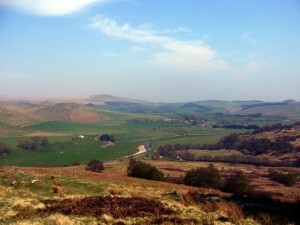 I’ve been involved in work before that has demonstrated how little people in the south of England sometimes know about Northumberland, or even where it is. There are surely no excuses for not knowing that now. 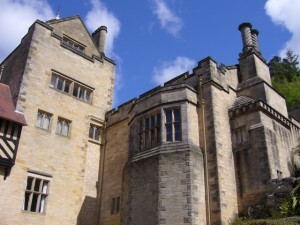 Though I’d been to Cragside on many previous occasions, and driven through Rothbury on others, February this year was the first time that I’d had a proper wander around the town. 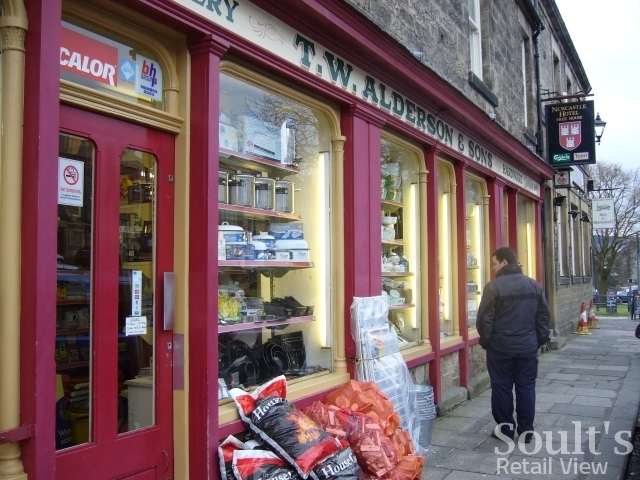 For somewhere so small – there are just 1,740 people living there – Rothbury does have an impressive and interesting collection of shops along High Street, Townfoot, Bridge Street and Front Street, selling a wide range of convenience and discretionary goods. 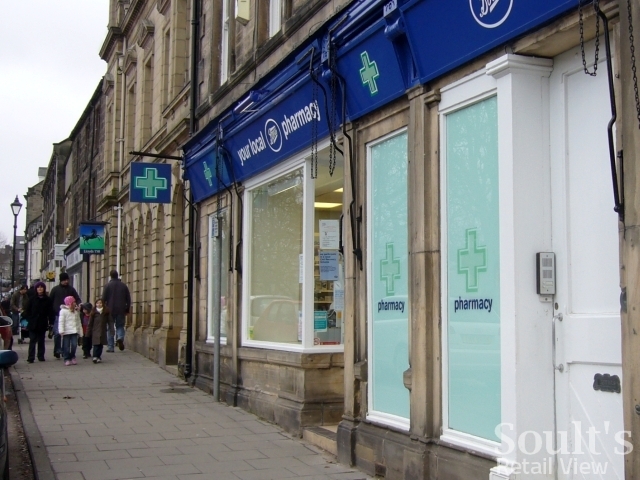 Though the majority are a fantastic and eclectic mix of independent retailers, these are complemented by a couple of well-known names – a branch of The Co-operative Food, and a small Boots (formerly one of the Alliance Pharmacy shops that Boots acquired in 2006). Among the indies, I loved the Aladdin’s cave that is Stuart Wiggins, an electricals shop, with its window display featuring a “dual speed stereo cassette recorder” alongside rather more recent innovations such as cordless phones and Freeview boxes. 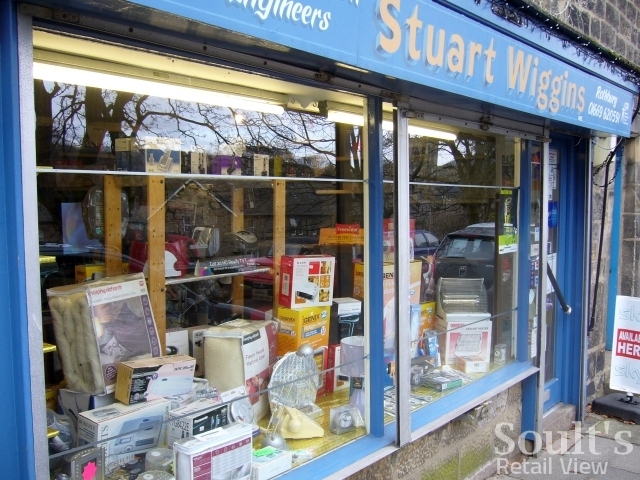 You probably wouldn’t get an iPod here, but it’s the kind of shop that will more than likely have all those obscure electrical items in stock – saving what would otherwise be a long journey out to Morpeth or Hexham. 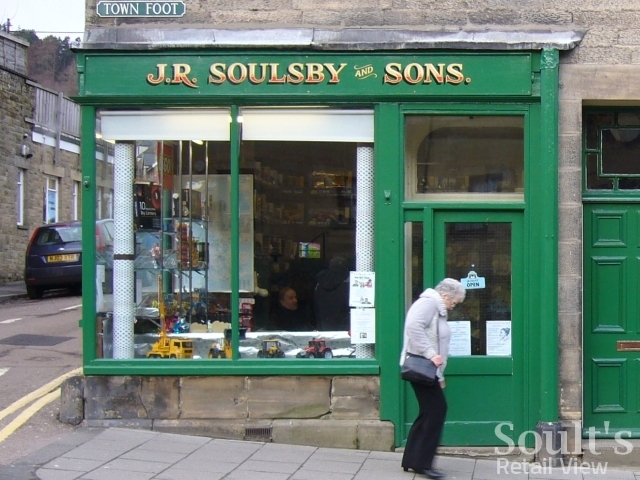 Many of the shops also have attractive, traditional shopfronts with lovely, handpainted shop signs – and no ugly metal shutters in sight – that provide a great showcase for their wares. 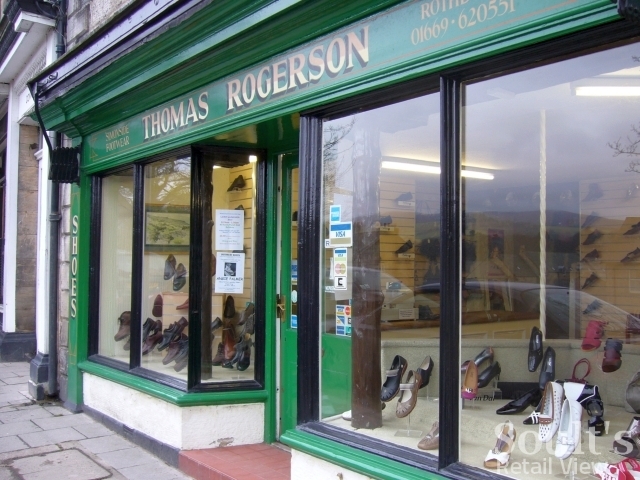 Among those that stood out for me were T W Alderson & Sons’ hardware store, J R Soulsby & Sons’ toy shop, and the shoe retailer Thomas Rogerson. 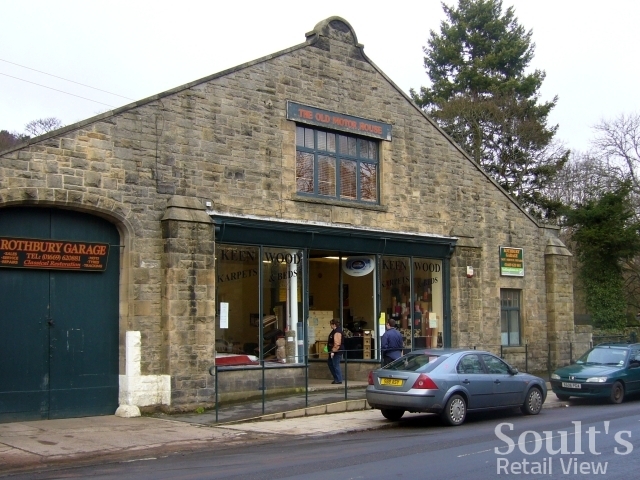 Towards the edge of the town, the Old Motor House in Townfoot- a very early motor garage, dating from 1913 – is one of Rothbury’s most striking shop buildings, housing a classic car restoration business as well as Keen Wood, a furniture and carpets shop. 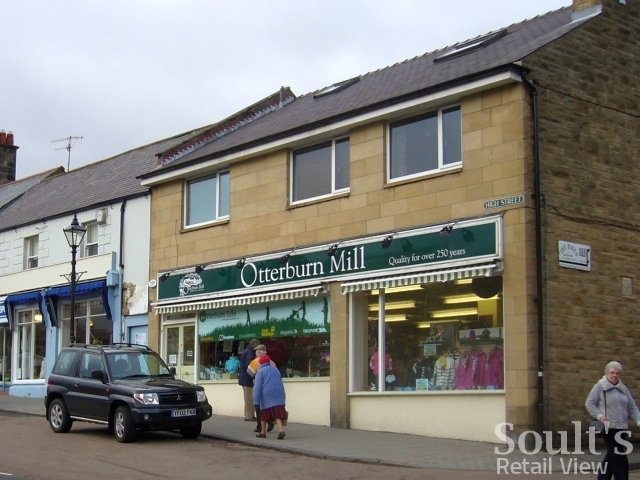 In contrast, the Otterburn Mill shop – an offshoot of the flagship store at nearby Otterburn itself – occupies what is arguably the ugliest building in the town. The store is a decent size though, and was busy when I visited with people browsing its ranges of outdoor clothing. 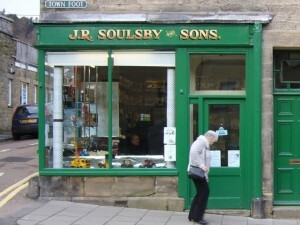 As the town returns to normality, it will surely be a fitting compensation for all the disruption if those who already love Rothbury are supplemented by a whole load of new visitors, discovering its charms – and those of the surrounding area – for the first time.